Android ruled more than 75% of the smartphone device market then what else you need for your product! Android devices come in all variant from low-end devices to high-end devices. Android is under the care of Google which is plus point. Here at third rock techkno, we have a very experienced Android development team which is capable of developing any complex Android app. We have an in-depth sense of app development for Android. We have developed verity of the Android app from a simple app to very complex app. Our team updates with latest trend and technique in android app development. Android is open source software with many customizations available in the market. Because of customization, it attracts a large section of the audience. Each user wants a custom user experience when android is for there. Android has a large user base where your business can get a boost. Android is popular worldwide here there is a very high chance of your product. Android comes up with a custom user interface which attracts more user. As Android comes up with customizable UI, your products can have a variety of the customization which attracts a large audience. Android bundled in lots of different devices which make it unique as compared to iOS devices. Android devices come in different screen size with different hardware options. With Android, you can also customize your hardware as Android support for that. Why choose us as your Android Development company? Our highly-qualified Android Development experts specialize in building customized, creative and highly-interactive web and mobile applications. Whether you are a startup or an SME, our experts will get the job done. We employ agile methodology to keep you in the loop. Throughout Android development and mobile development, we focus on delivering solutions that meet your business goals, timeline and budget. Our Android development company ensures complete project visibility right from the time you approach us with your needs. We use email, phone, Skype and other mediums for regular communication with our clients. Whether it is Android development or mobile development, we offer the most competitive rates on the market. Our personalized services meet different budget needs of our clients from across the globe. Google from sometime has been unifying all the services it provide under on single dashboard. And I would say that I am a real fan of that concept, as we all know in the current internet space we have to manage and focus on multiple areas and in that if I have to go to multiple platform it is going to drastically reduce my efficiency. 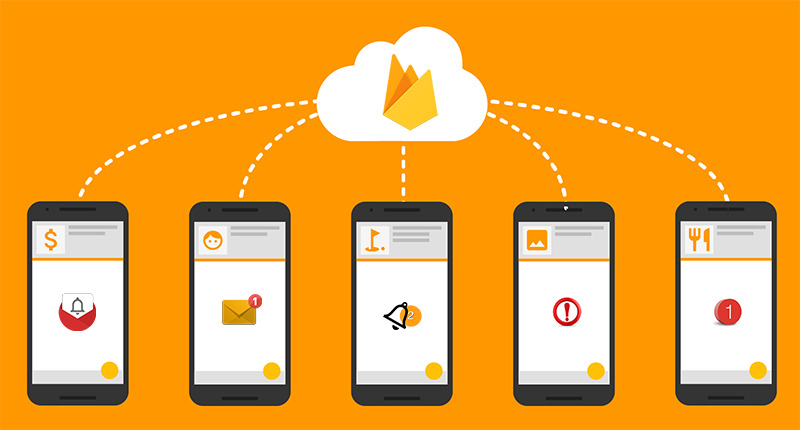 Hence, came the Firebase one single platform, to manage everything for your google application and website. HOW TO RUN IONIC APPLICATION IN ANDROID USING UBUNTU? Testing your app in the browser with `ionic serve` or with an emulator is fast, easy and convenient when your app is in development, but eventually you’re going to have to test on a device. Not only is it the only way to accurately test how your app will behave and perform, many Ionic Native plugins will only work when they are run on actual hardware. HOW TO INTEGRATE BLUETOOTH WITH IONIC 3 ?